Dennis' plane has a full EFII system and Bus Manager. 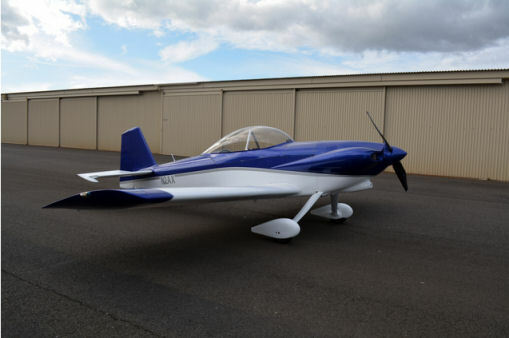 This plane has been flying with its EFII system since the Summer of 2014. An early report from Dennis, " ... Haven't tried looping yet but I've done spins, hammers, and lots of inverted work. And reverse half-cubans (gold-fish). It seems to pick up speed better for entering maneuvers. Overall I'd say it's a much better flying machine. Being able to hold -1g is a definite plus. It took a few flights to get the Christen Oil system primed, but now it seems fine". 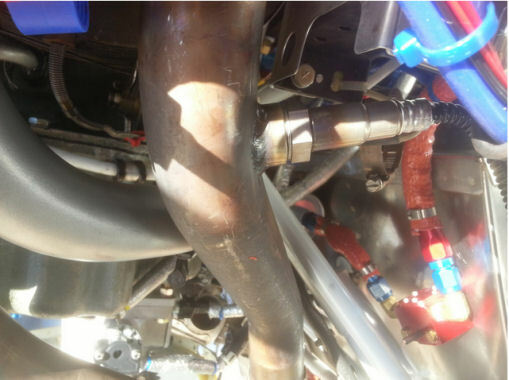 Here is a view of the Wide-band O2 sensor on the #4 exhaust pipe. This location puts the sensor in the flame front coming out of the cylinder and keeps it purged of lead deposits from 100LL avgas. 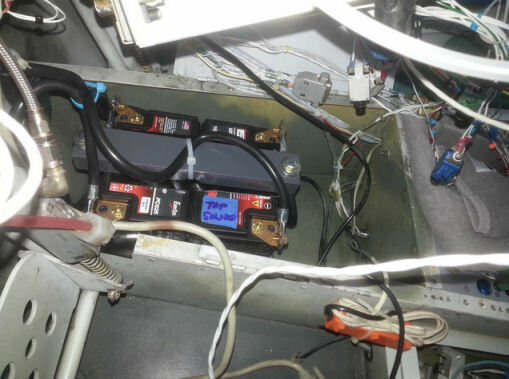 Dennis has two PC-625 Odyssey batteries mounted in the tunnel between the rudder pedals. Here is a good pic of a nice clean installation. Cowl clearance is a concern with the RV-4. The cowl cheeks hug the engine pretty closely. The EFII compact injector assemblies do not stick out past the envelope of the rocker covers. 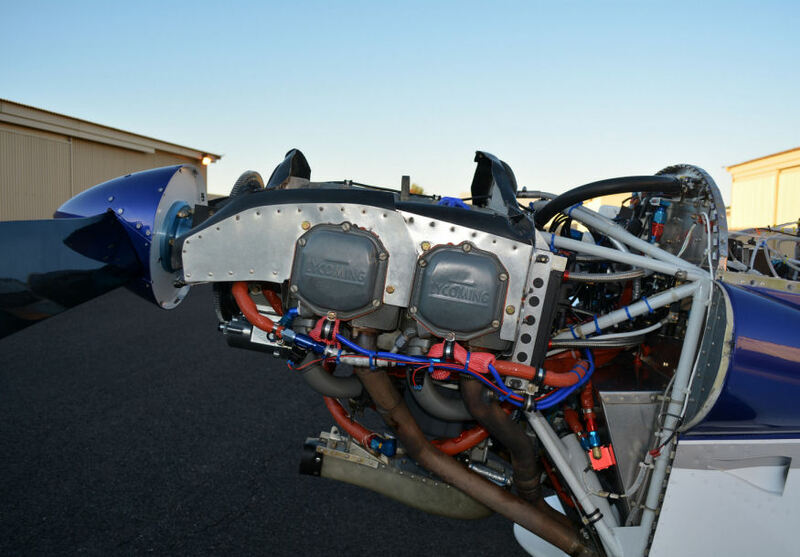 This allows adequate room for the injectors and fuel lines without requiring modification of the cowl on the RV-4.